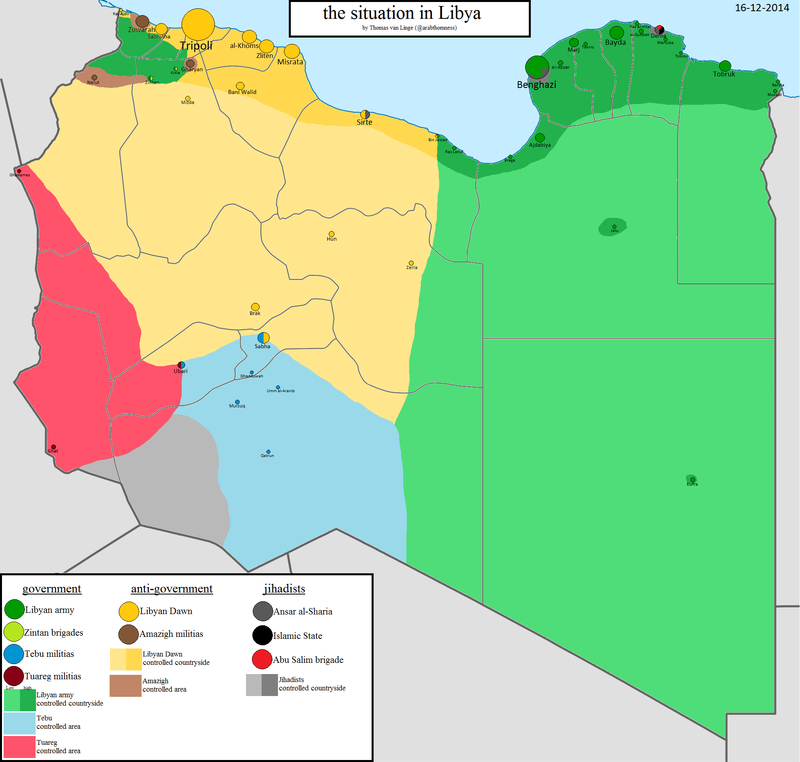 Libya is divided into two main chunks, but there are many smaller tribal, Islamist, and militia players that complicate the war even further. And it’s been bloody: a December UN report said hundreds of civilians have died since Libya Dawn swept the west in August. The UN claims that it has gotten the warring factions to agree to a peace conference “in principle.” Hopefully, that principle will translate to reality — and fast. Sunday’s air strikes were in apparent revenge for Christmas Day attacks on Libya’s largest oil terminal at Sidra and on the city of Sirte, in which Islamist militiamen firing rocket-propelled grenades from speedboats killed 22 government soldiers. There were further skirmishes in Sidra on Sunday, in which two Libya Dawn foot soldiers were killed, according to a security official in the port. At the same time, recent fighting in the neighbouring Nafusa mountains has left 170 people dead. In addition to the casualties, the fighting has also caused a humanitarian crisis with at least 120,000 people forced to flee their homes, resulting in consequent shortages in both food and medical supplies. Meanwhile, in the eastern city of Benghazi, an uptick in violence has seen 450 people killed since October as residents continue to face shortages in medical care. Moreover, upwards of 15,000 families – some 90,000 people – have been displaced.